Today I did a wine tour with Stile Mediterraneo. The company is owned by two sisters, Cinzia and Marika. They offer wine tours, olive oil tours and cooking classes. I just did the wine tour, but the rest of my group had a full week planned with the sisters. We started the day with an extensive tour of one of the oldest wineries in the region, Castello Monaci . They yield 11 products and about one million bottles of wine a year. They only use grapes grown on the estate — that’s a huge property. 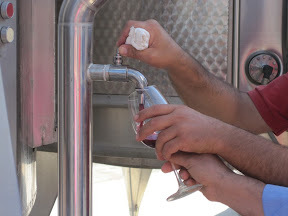 We got to taste both white and red wine must, which is freshly pressed juice that contains the skins, seeds and fruit stems. They told us it had only been in steel for about seven days. The wine tasted like grape juice, it was sweet, cloudy and sticky; my glass had little particles of skin floating around. We tasted two bottled wines, a rose and a primitivo. The grapes of the region are largely primitivo and negramaro, both big red wines. We next visited Candido with the lively Francesca as our host. She knew her stuff and definitely talked up her employer’s juice. We were running a bit late so we only had time for the tasting and not the full tour. It was nearing siesta so we had to drink and run. 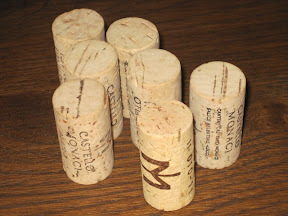 Here we tasted two negramaros and a primitivo. – Rose is a big deal in Italy. They take the production quite seriously using their best grapes. I really enjoy roses, but I have to be honest, I prefer the fruity, crisp, lightness of a french rose. The italian style is too big for me. 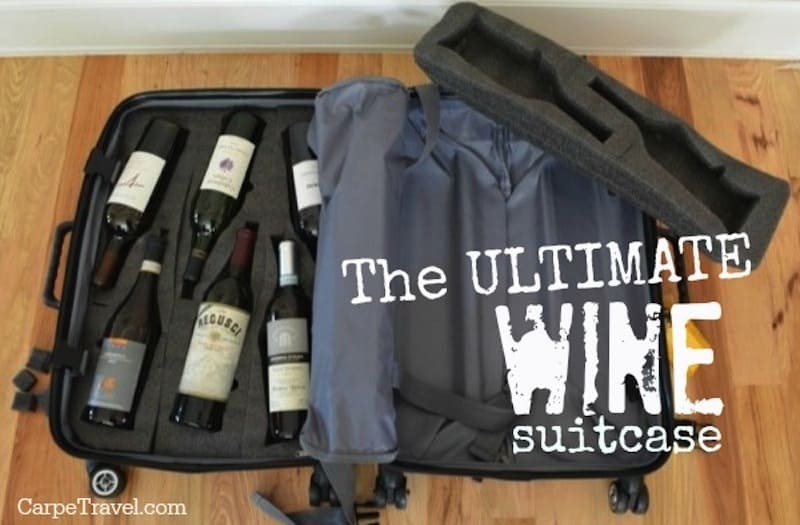 – There was no pressure to buy wine at the estates. In fact, it wasn’t even an option as we scurried out of both locations. It may have been because we were running late, but I didn’t expect no opportunities to buy. 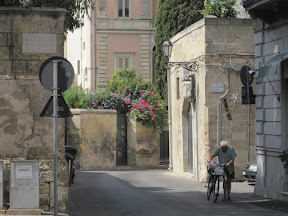 The wine tour concluded with lunch at a local osteria, Vineria Joyce in Old Town Lecce. The food was wonderful and the company even better. Cinzia was our tour guide for the day. I was very impressed with her knowledge of and appreciation for the grape. She also provided great recommendations on things to do during our Lecce visit and offered to provide suggestions for wine tours and such when I head to Sicily one day. And, despite the rumors of all italians being on their own time, it was not Cinzia’s fault we were running late. One pair in our group experienced some travel delays and arrived late, so that put us behind from the beginning. Cinzia was actually constantly checking her watch to keep us on schedule. It was very refreshing. I ended the day with an aperitif at a local enoteca and olive oil shop, Mama Elvira. 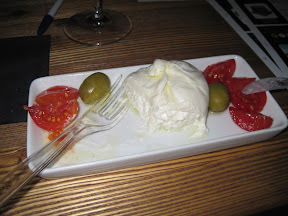 We enjoyed a fantastic local dish of burrata. Simply put, the outer shell is mozzarella and inside is a soft cream. It’s just amazing! Next stop in the journey is Sorrento. We start the day early with the long drive, then we plan to do the afternoon in Positano before an evening cooking class. Hopefully I will be able to work in a siesta by the time we hit Florence in a couple days!Cin cin!